Having spent my first 18 years as a Peoria resident and having parents that still call Peoria home, I feel I can offer a few helpful hints to help you plan your cross country state weekend. I’m not much of a Twitter-head (@ackshun35), and I have not grasped the hash tag craze, but I’ll do my best to stay cutting-edge in this newest blog. 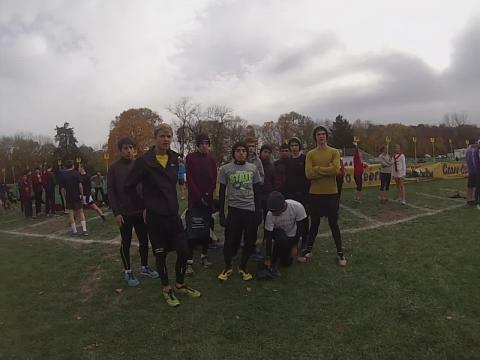 The most anticipated team race in recent memory will take place two hours past noon at the wildly popular Detweiller Park. Will the 28-time champion York bring back another title to Elmhurst? Or will some bandit team come out of nowhere and surprise the masses. Stay tuned and find out about 2:45pm on Saturday. 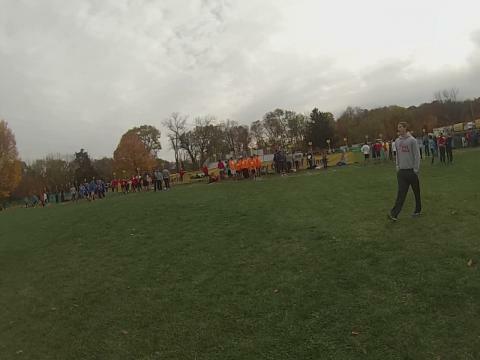 A little info and results from all of the races today at Peoria. The state championship is the pinnacle for almost every team in the land of milk and honey. It will certainly be the pinnacle for defending state champion Naperville North who has fared dominant against Illinois foes. Although the Huskies appear to be the team to beat, it is never easy winning a state title. As well, there are going to be a ton of starving teams out to quench their hunger by trying to obtain one of the three state trophies given out at the Detweiller Park awards ceremony. 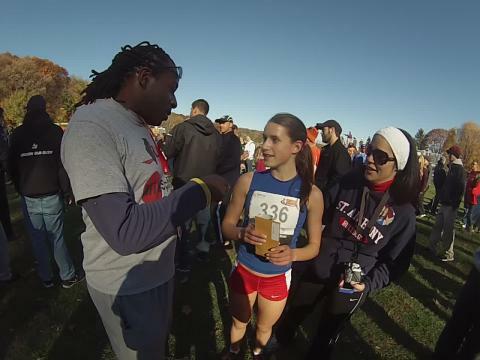 Class A girls winner discusses her first state championship. The state championship is the pinnacle for almost every team in the land of milk and honey. It will certainly be the pinnacle for two-time defending state champion Yorkville who at times have appeared mortal. It will not be easy for the Lady Foxes in their quest for a third title. As well, there are going to be a ton of starving teams out to quench their hunger by obtaining one of the three state trophies given out at the Detweiller Park awards ceremony. 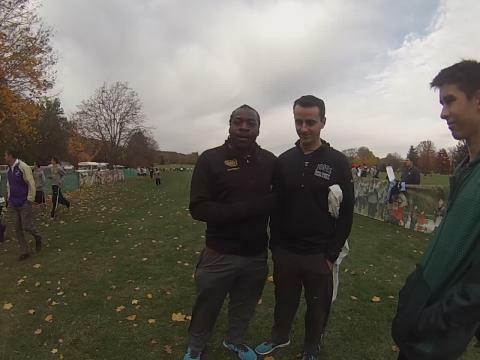 The 2A race will be interesting with Jones Prep defending their title. But Illiana Christian has been on a roll this season. Yorkville has been strong too. Mahomet-Seymour is ranked #2. Can they win it all? Come to Detweiller Park and see at high noon. Dale talks about his season and other items. 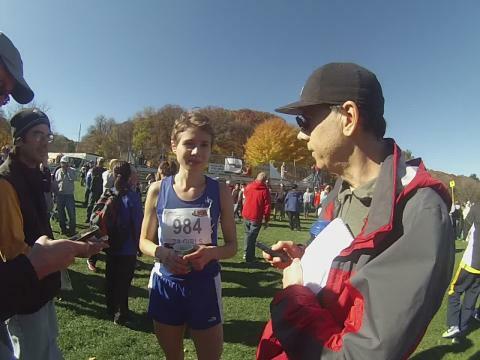 2A Girls winner from Riverside-Brookfield candidly discussing her lopsided state championship victory. Alex Goodland previews the Class A Girls action set for Saturday. 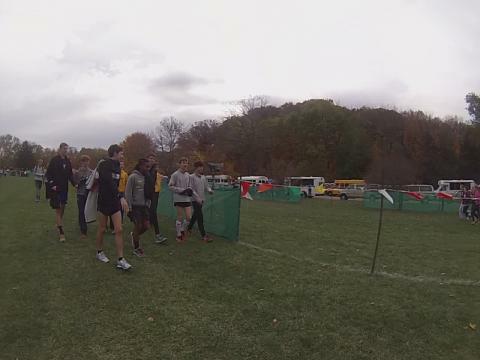 The Indians prep for their Saturday state championship race. 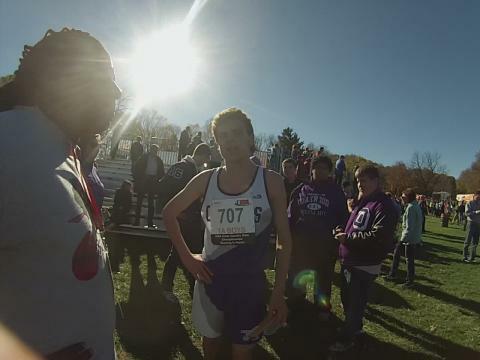 Alex Goodland previews the Class A Boys race set for Saturday. 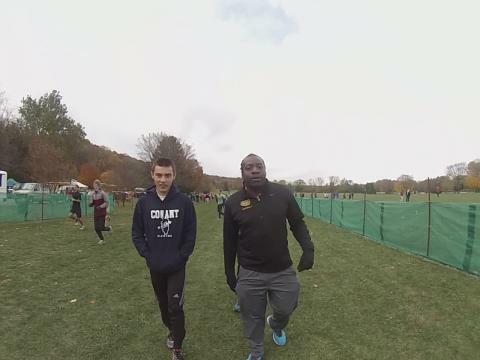 Patrick Perrier and his mates take serious pre-meet walk through. 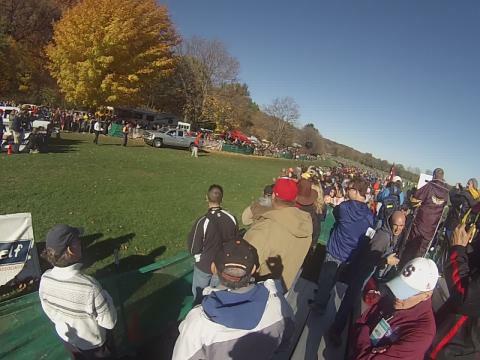 key finish line footage of Class A Boys state championship race.